Para leer este articulo en español dale click aquí. Paula Collier, a resident of the Madison Square neighborhood and host of the Southtown Sustainable Women's Group at Seeds of Promise, is addressing racism by empowering women in her community. It is early evening on the last Friday of January at Seeds of Promise, and through the tinted glass window of the building one can hear the community room slowly filling up with laughter and conversations of the comings and goings of the neighborhood. This week, a group of women, all residents of the Madison Square neighborhood, have gathered for the Southtown Sustainable Women’s Group to empower and advocate on behalf of one another and their communities. Paula Collier, a resident of the Madison Square neighborhood and the host of the group, has been inviting women of her community to come together and dream of a sustainable neighborhood since September of last year. The group, currently made up of seven committed members with officers established, came out of what the women describe as an L5 Initiative. In other words, they operate under the following five principles: love, laughter, living, leverage and opportunity to learn. The mission of these meetings is to provide an environment where women are safe to collaborate, share ideas and encourage each other, learn self-help techniques, and achieve personal prosperity. The group meets on the last Friday of the month from 6pm to 8pm at Seeds of Promise on 1168 Madison Avenue SE. “There is no requirement, qualification to be met to participate. 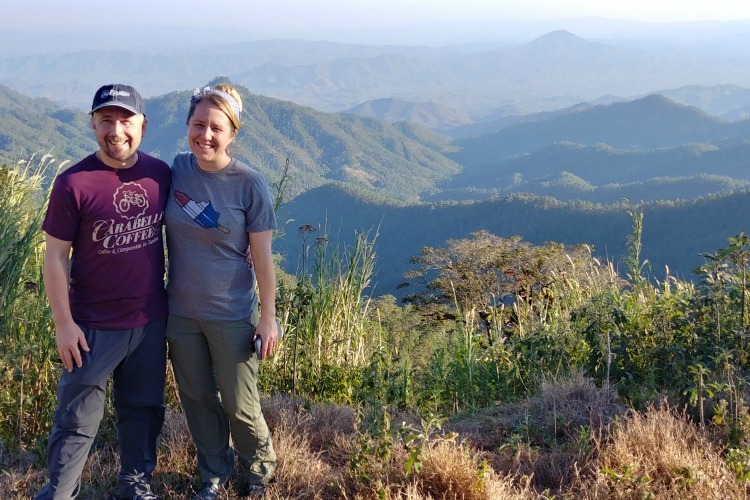 It is only important that a woman is eager to seek opportunities that may change the trajectory of her life in a positive manner,” Collier explains about the group. 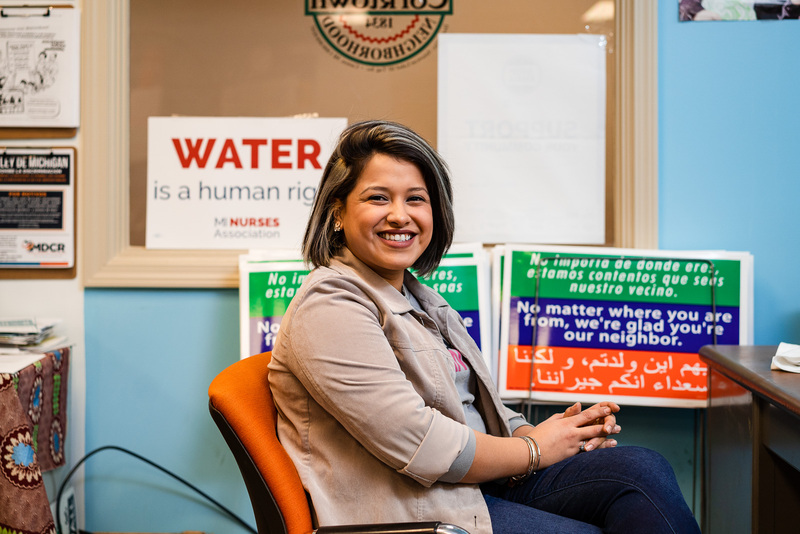 As a Seeds of Promise “host neighbor,” Collier’s extensive neighborhood relationships have become assets to her position with the organization that aims to empower residents through community governance and organizing. Through these relationships, she helps invite other women in her community to be a part of creating a plan to improve their lives for themselves and their families. Her inspiration comes from Mr. Brown, Collier shares. Mr. Brown was a very active neighborhood organizer when she was growing up on the southeast side of town. “Mr. Brown was a strong advocate on my block (Lafayette Avenue), and he used to say, 'If you purchase property, you can dictate and shape the characteristics of your neighborhood.' I want to be able to help create this kind of access for the women in my community,” Collier says. Collier has spent the last eight years working towards a bachelor’s degree in management and a Master's of Business Administration to obtain better job opportunities with higher paying wages and in this way help support her family. “To be able to go to school, I was working third shift as a residential care aide at the Grand Rapids Home for Veterans, and going to school in the afternoons and evenings,” explains Collier, who, in addition to the Southtown Sustainable Women’s Group, is involved in tenants union meetings, the Madison Square Business District, and the Seeds of Promise Ministry Impact Team. 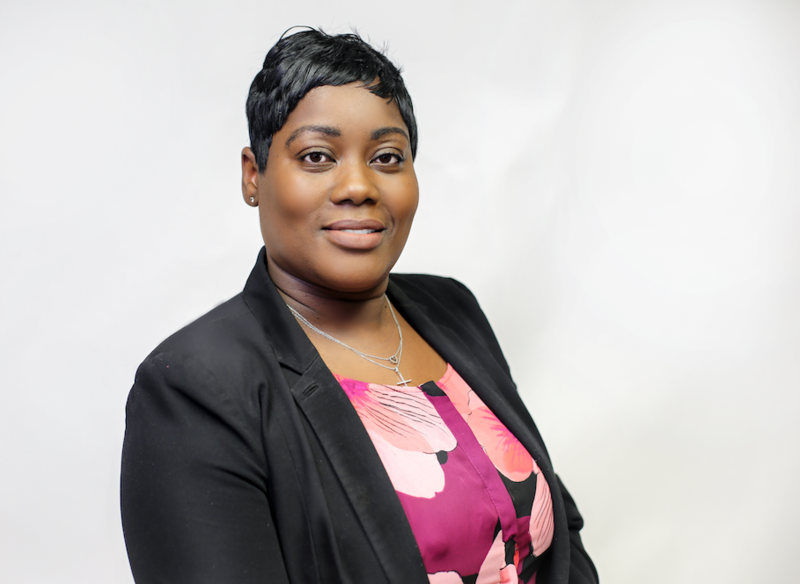 Despite her extensive experience as an advocate, organizer and community strategist, and the hundreds of applications she has submitted to employers all over Grand Rapids, Collier has not been able to secure full time employment with benefits. 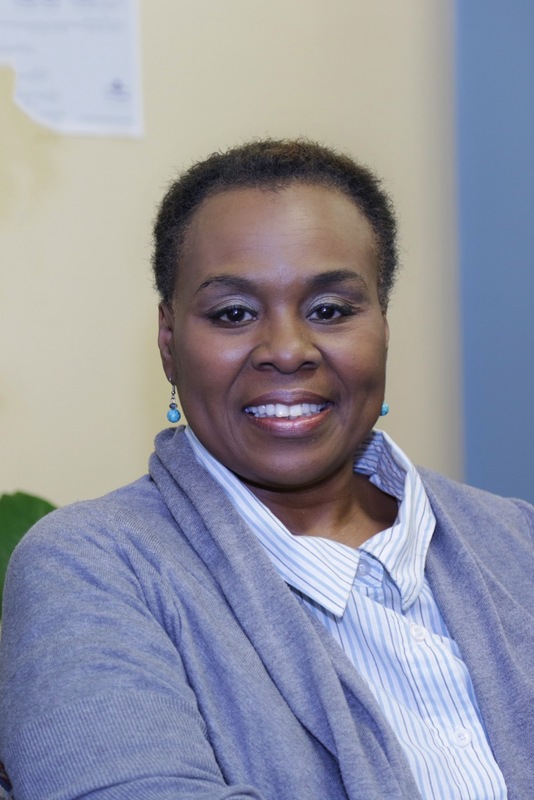 Collier is not alone in her experience, living in the Madison Square community where more than 25 percent of residents are unemployed and 68 percent are living in poverty, according to data obtained from the Dorothy A. Johnson Center for Philanthropy at Grand Valley State University As a predominantly black and Latinx neighborhood, this community faces greater barriers in achieving economic capital. According to a 2011 government data analysis from the Pew Research Center, a research-based think tank, the median wealth of white households is 20 times that of black households nationally. For the southeast community, these statistics hit close to home. In this community, 55 percent of residents are black Americans, many of whom are living in poverty. These numbers are a reality for Collier. The reality that, as a 50-year-old, educated black woman, she has experienced greater barriers to secure employment than her white counterparts. In addition, only 20 percent of black residents in Grand Rapids have an associates degree or higher, while 50 percent of white residents do, according to data obtained from the 2015 U.S. Census Bureau. In other words, fewer black Grand Rapidians are positioned to be considered for higher-paying employment opportunities. W.K. 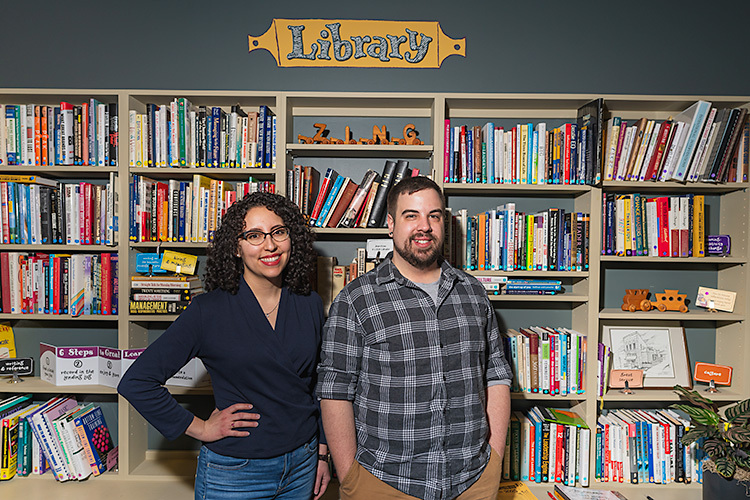 Kellogg Foundation Fellows Shannon Cohen, and Patricia Sosa VerDuin have spent the last year interviewing 120 women of color between the ages of 30 and 50 in Kent and Ottawa Counties, studying the ways the intersections of race and gender affects their access to professional opportunities. “Eighty percent of the women have bachelors degree and 53 percent of them have advanced degrees such as a bachelor's degree or a doctoral degree, but so many of them are living in poverty,” states Cohen about the findings of their study, Invisible Walls, Ceilings and Floors. The study will be presented to the public on March 2 and March 16 at Grand Valley State University. Registration is open and are all welcome to attend. “Women of color are not given the title or the wage compensation of the work they are asked to do,” says Cohen. The systems used to attract and retain talent, explains Cohen, is driven by the dominant culture. In other words, the non-diverse makeup of organizations and businesses translates to these groups using their own homogeneous networks to attract talent. “To attract diverse talent organizations will have to put additional dollars to attract, and retain candidates of color because talent of color is here,” Cohen says. 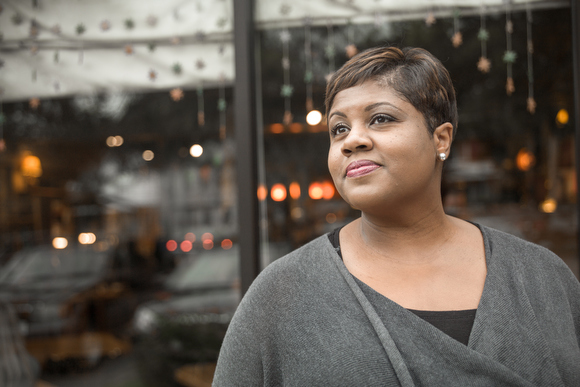 In spite of the barriers Collier has faced, she believes in her ability to make long-term change for herself and other women in her neighborhood. “Instead of trying so hard to find a job, I have to find a way to create one,” says Collier. One of the ways the Southtown Sustainable Women’s Group is creating opportunities for their neighborhood is by planning events and workshops to help women invest in their community. Through this group, Collier hopes to eventually create a job opportunity for herself and those involved. Among the events the group is planning is “The Ladies Afternoon Lunch," a fundraiser to help create a scholarship for a young woman in the neighborhood who is interested in pursuing higher education. The event will be an opportunity for women in the neighborhood to dress up for an afternoon of community while raising money to help create a fund for members of the neighborhood who may be experiencing financial hardship. “Our dream is to help create sustainability within and for our neighborhood,” Collier says. Even though people of color are the fastest growing demographic in Kent County, they are experiencing the greatest income disparity of any other demographic in the area. According to data obtained from the Dorothy A. Johnson Center for Philanthropy at Grand Valley State University, the southeast community has a median household income of $27,016, while the Kent County median household income average is at $65,067. The $38,051 dollars difference equates to an income gap of nearly 42 percent for a community that is predominantly black and Latinx. The income gap between white communities and communities of color is not an isolated incident for the city of Grand Rapids. Taking a look at 2013 data obtained from the Federal Reserve Board’s Survey of Consumer Finance demonstrates white families have six times the net worth than nonwhite families nationally. “Black women in this community have been disenfranchised. We haven’t had the access to opportunities the ways others have. Our children have been incarcerated at higher rates, and many have had their dreams fallen to the wayside,” explains Collier. Through her involvement in groups aimed at empowering neighbors, Collier hopes to make change by helping her community dream of a brighter and more sustainable future.